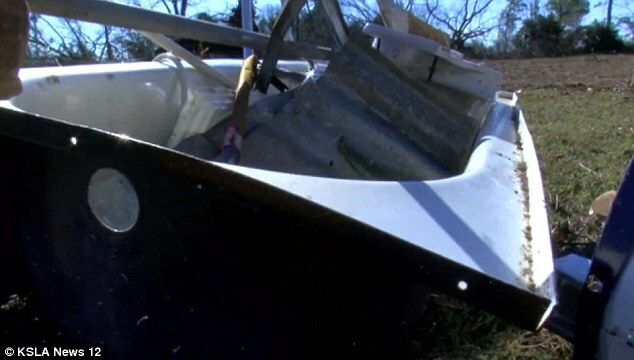 Woman And Son Survived Tornado By Hiding In Bathtub And Were Tossed By 130 MPH Winds! 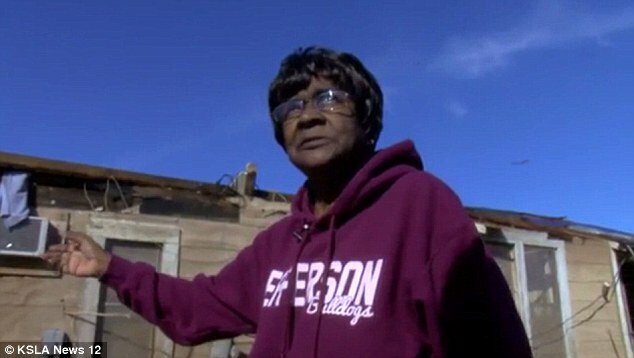 Charlesletta Williams, a 75-year-old woman, was at home with her son, Rickey, when they realized that the tornado warning was indicating that it was headed their way. In fact, the image they saw flashing on the television seemed to be hovering right over their home! Immediately, they realized that they needed to take cover. Rickey grabbed a heavy quilt and the pair got into the bathtub and put it up over the both of them. Not even 5 seconds later, the 130mph winds exploded through their home sounding like the loudest train they had ever heard. As the tornado ripped through their home, they felt the tub detach from the plumping and knew that they were soaring through the air. They didn’t dare to lift the blanket and see just how high they were, but Rickey fell out of the tub near the end while his mother rode in the tub another 20 feet. He dashed to her and covered her with his body while the tornado continued it’s rampage. The tornado carved a trail through the countryside, crossing state lines from Texas into Louisiana. Incredibly, they were unharmed during the entire ordeal. Their house was moved roughly five feet to one side, but they plan to rebuild soon. While the damage was substantial, they know that the day could have been a lot worse and they are thankful to have survived.